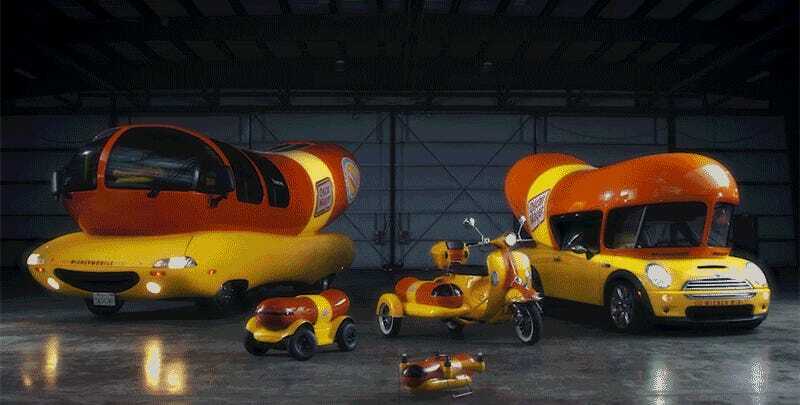 As is currently en vogue for any company making a product that ends up in consumers’ hands, Oscar Mayer is expanding its Wienermobile fleet with a phallic flying drone that can (supposedly) drop a single hot dog on someone not too worried about what they’re eating. If Silicon Valley had its way, we’d only eat things that fell from the sky. The drone itself appears to be a custom creation, weighing in at 6.5-pounds with a flight time of around 15 minutes, letting it fly about a mile before needing to land for a recharge. It has enough lifting power to carry a single wrapped hot dog during flight, but details on condiment capacity are still unknown. If you prefer those Chicago-style hot dogs piled high with pickle spears, tomato wedges, and peppers, you’ll presumably be limiting the WienerDrone’s flight capabilities. 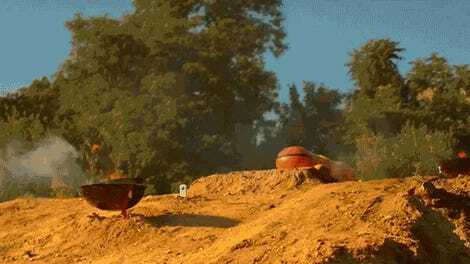 The practical applications of a hot dog-shaped drone that can only fly for 15 minutes? Aside from dropping promotional sausages on hungry fans who can hopefully catch, there are exactly none. Drones are notoriously loud, making this impractical even for baseball stadiums. But there’s not much use for a giant weiner-shaped truck either, and yet somehow that’s been rolling across the country for decades, so who are we to question Oscar F. Mayer’s dream?